Make sure you have a valid provisional driving license . You can do this online or over the phone. If you need to change the time or date or cancel an appointment you must give the DVSA 3 days notice. 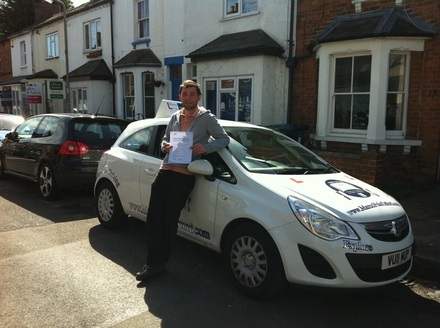 "Thanks to Marco, I finally passed my test! I failed once, but thanks to him and all his effort to ensure I was prepared. I finally was able to drive myself around. If you’re looking for someone to teach you how to drive – how to pass – look no further as he can teach you everything you need to know. He did for me. With Marco as my instructor, I became more confident with each lesson, he is a grate person and I would recommend him to anyone who wants to learn to drive!"